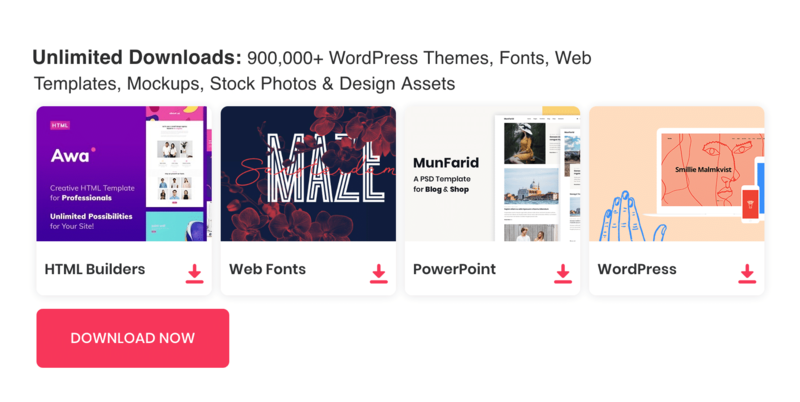 You are probably always looking for ways to do your Web Development faster and make that easier; in this post we prepared some good resources and short code to Tools and Resources to Speed up your Web Design Workflow. CSS Reset will reset the user agent stylesheet by setting default values for all the HTML elements. Once the values are reset, then you can build your own styles that will render consistently across all browsers and environments. 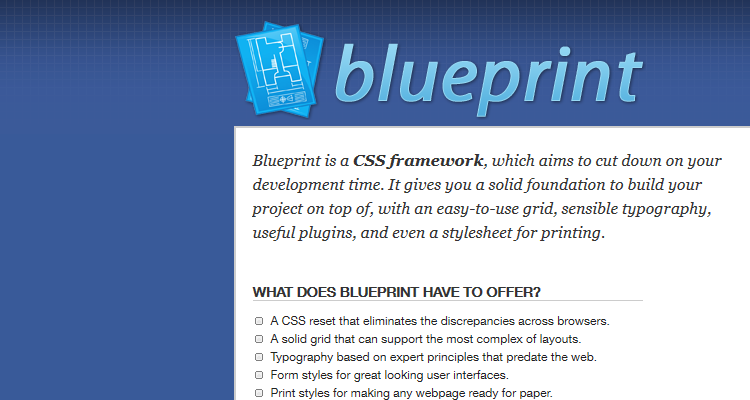 However, there are different CSS Resets that use different approaches to reset the browser stylesheet. Here I am listing some of the best available css resets. 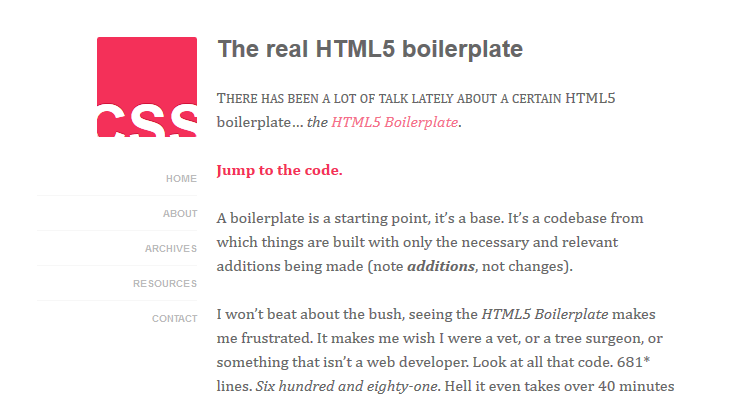 Based on Eric Meyer’s Reset CSS, the HTML5 Reset Stylesheet by HTML5Doctor.com aims to provide a basis for any websites making use of the new HTML 5 attributes, while improving in some areas and also removing support for deprecated HTML 4 elements. * Copyright 2012 Yahoo! Inc. All rights reserved. TODO will need to remove settings on HTML since we can't namespace it. TODO with the prefix, should I group by selector or property for weight savings? TODO remove settings on BODY since we can't namespace it. TODO test putting a class on HEAD. Global reset employs a wildcard selector to reset the padding and margins on all elements to zero. 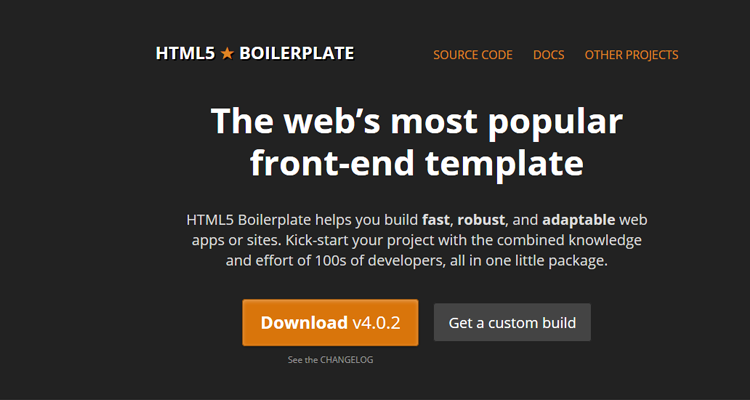 HTML5 Boilerplate helps you build fast, robust and adaptable web apps or sites. Kick-start your project with the combined knowledge and effort of 100s of developers, all in one little package. 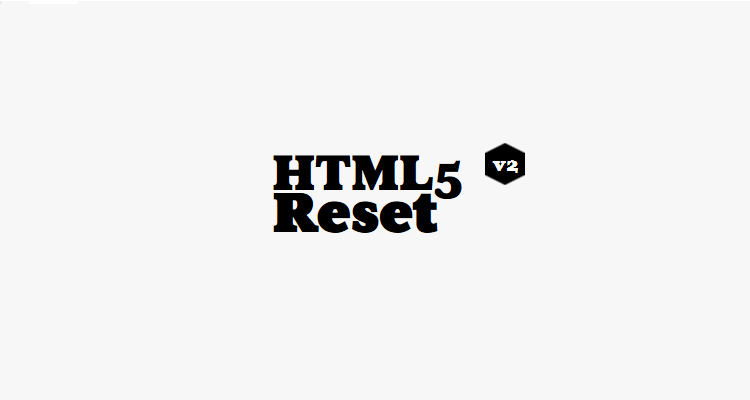 HTML5 Reset is a more lightweight base template that gives developers a clean slate to work with while setting and taking care of some cross-browser issues, such as CSS inconsistencies and IE-specific CSS rules. 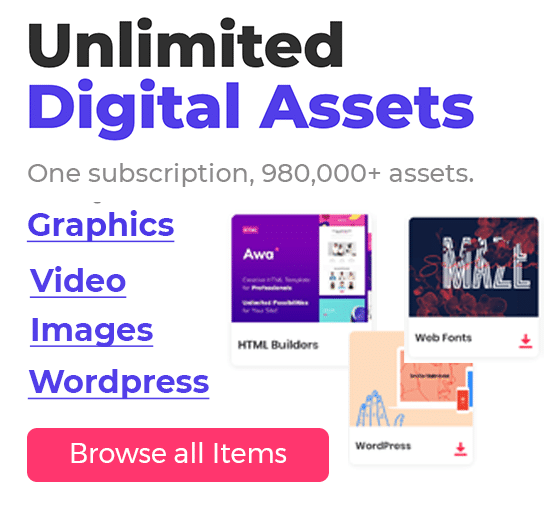 It is a template of sorts, absent of design or layout, that will help you avoid some of the major rendering problems with the most common email clients out there — Gmail, Outlook, Yahoo Mail, etc. 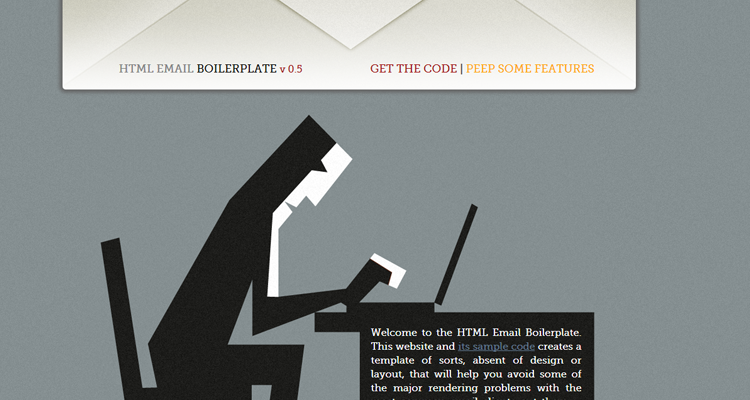 While not plug and play (you know, you’ll have to do some work ;-), it will provide some helpful examples and snippets that will keep your email design rendering as true-to-form as possible. Where to set breakpoints is the big question with media queries. First thoughts are usually to choose breakpoints based on the size of popular devices. Below you can find media quires for standard devices.